After a fortnight of not blogging, and no end in view of being sidetracked, here´s at least a small tidbit. 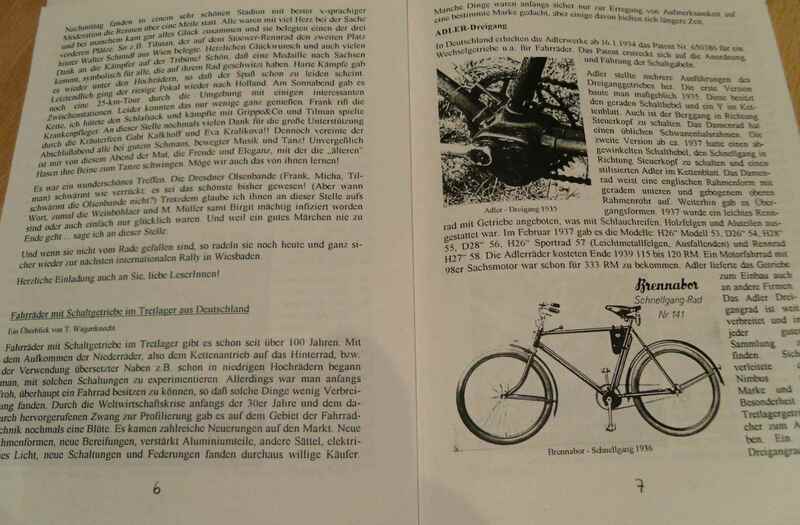 There´s loads of pictures of bicycles in children´s books or on other children´s media which really are no illustrations, but abominations and insults of young people´s perception of the world and their technical understanding. I can very well remember as a child thinking, when confronted with similar illustrations, will this really work? 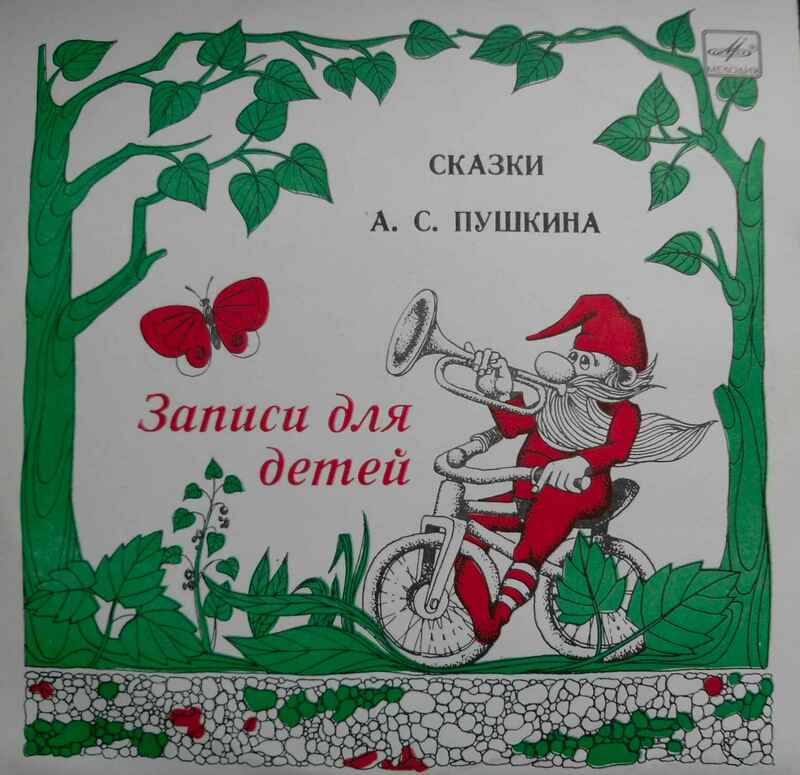 It´s on the sleeve of a 10″ double album of A.S. Pushkin´s fairy tales called “Recordings for Children”, issued in 800 copies in 1981, costing 2.10 Roubles, at the time no mean sum for people on average incomes. Back to the bike pic: Look at the front fork, twisted and rigidly attached to the frame, the non-existant connection of the rear wheel to the rest of the bike, fittingly hidden by the leaf which must be there for the reason that the creator of the illustration probably did not know what a bike really looked like. As an excuse it must be said that in the Soviet Union there were few more unpopular pastimes than cycling. 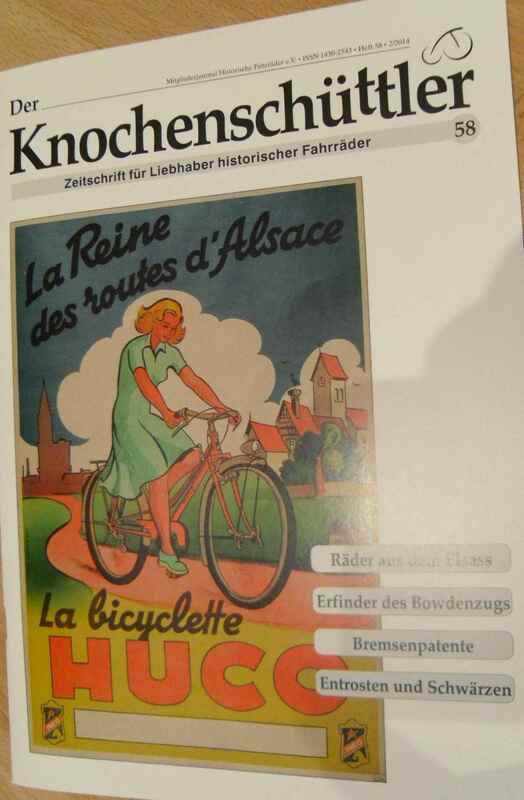 I guess it´s about time I delved into my archive and wrote a short post on the old-bike – publication of my home country, the Knochenschüttler (KS). 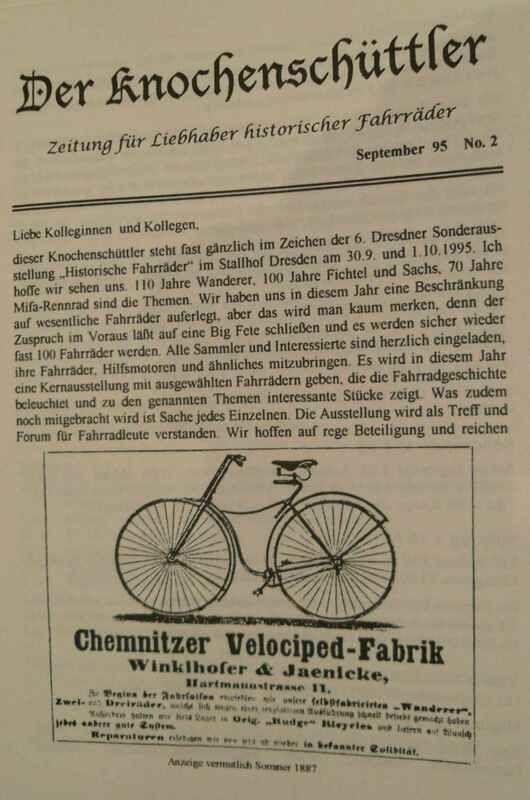 After all it´s been the lifeline that has connected the German cycle collecting community for nearly 20 years now. Seeing that even lifestyle blogs like avecpassion.net in a post called fur-nostalgie-liebhaber seem to like the mag I guess I just have to harp in. 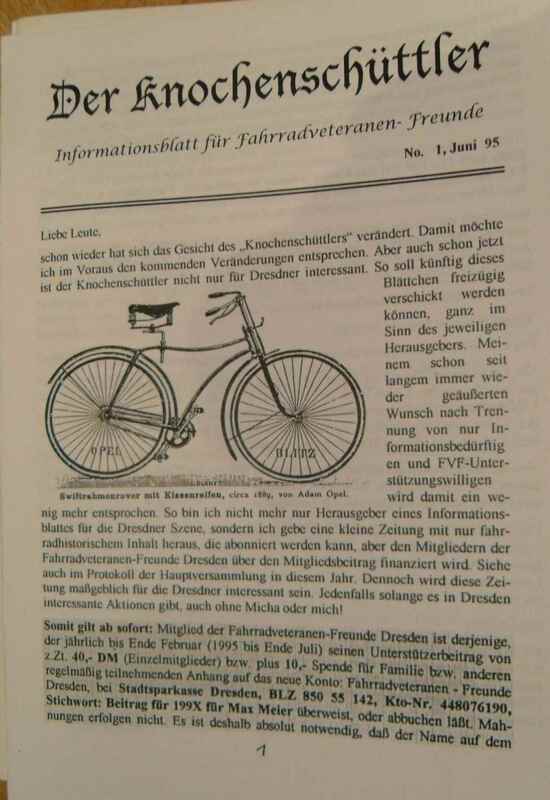 It had 10 pages and featured a report on the 1995 IVCA Rallye in Haarlem/NL as well as an article on German bottom bracket geared bicycles, and had a run of 60 copies. Already the second issue, appearing in September 95, sported 16 pages and was not loose leaf anymore, but properly stapled. Leaps and bounds. Its main attraction was a multi page article on MIFA. It said on the back cover that “at least” 300 copies had been made. No 3 had 24 pages, and No. 5 showcased 28. As from No 4 there was a stiff cover, and the run was upped to 500. This format stayed the same until No 12, spring 1998, when there was a colour cover – printed on green cardboard. 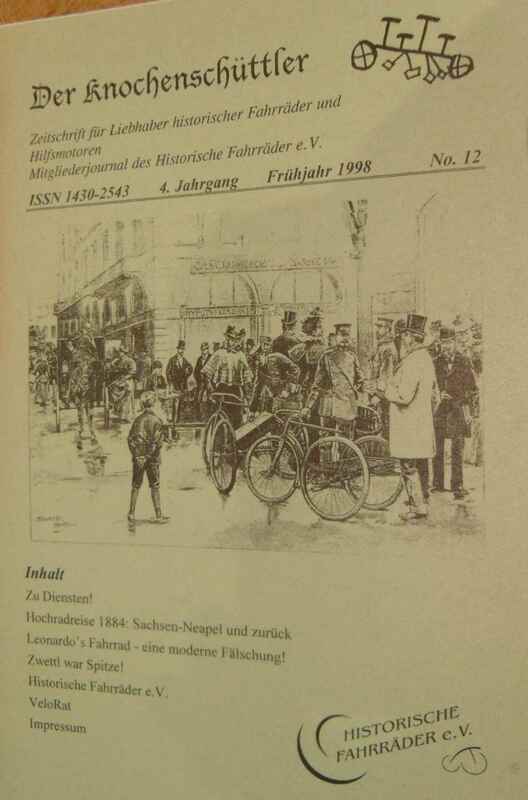 This was also the first issue which was the official newsletter of the freshly founded Historische Fahrräder e.V., the German old-bike club which has since taken over the show, after Tilman´s leaving the editor´s desk. 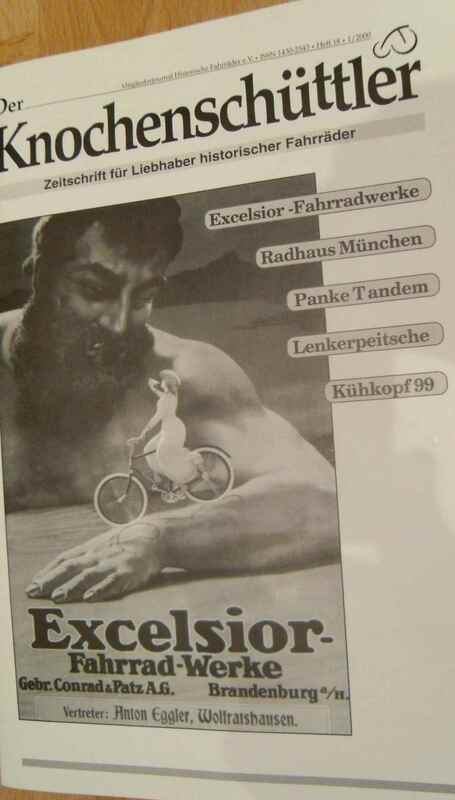 Actually the Eastern German Knochenschüttler absorbed its Western equivalent, Christoph Guder´s Velorat, also around 1997; can´t remember the exact date. The title did not refer to a small furry animal, btw. After that, No 18, the first issue after the Millennium, was in its present format: A4, b/w cover, new design. Save the introduction of colour (and not only in the form of a green cover), this has stayed the same. The next issue will be an unbelievable No 59, issued by mainly three editors: Tilman, Thomas Busch and Michael Mertins, who has returned to this job after an interlude of a couple of years. 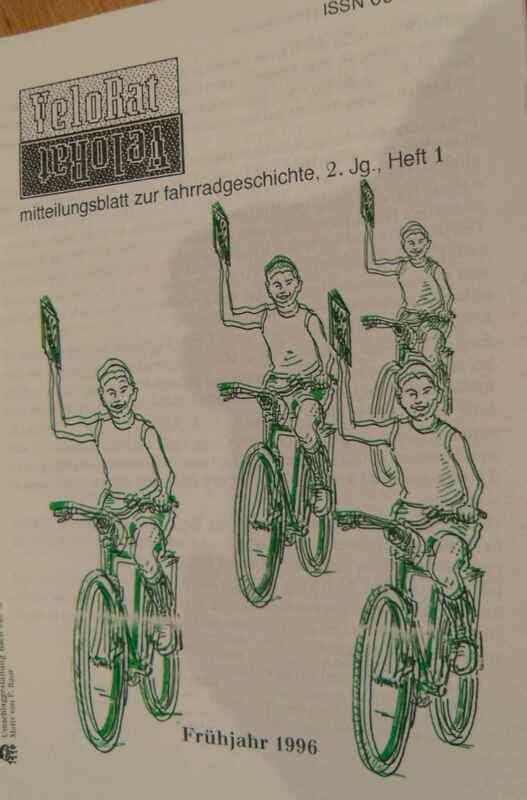 These three really have done a lot for the German old-bike scene, especially Michael, who has been at it for years and years, adding up his two tenures, managing to introduce full colour to the 36 A4 pages the mag now has. The board of editors have recently decided to concentrate on two issues per year. 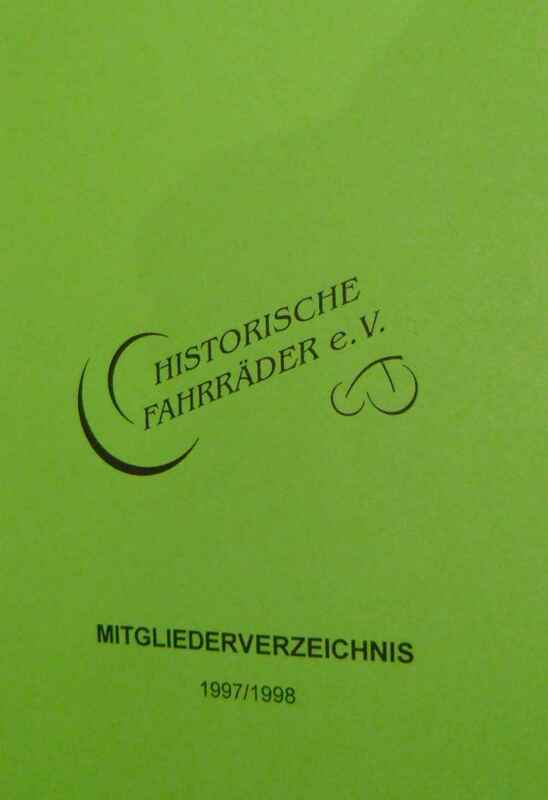 No 59 will be issued, as always, to members of Historische Fahrräder e.V., inside Germany as well as abroad. If you´d like to become one, you can easily go to their homepage and register.